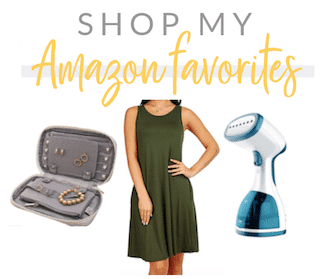 I’ve gotten questions from people trying to decide between several Lily Jade bags, so I’m excited to partner with Lily Jade today to compare a few for you! 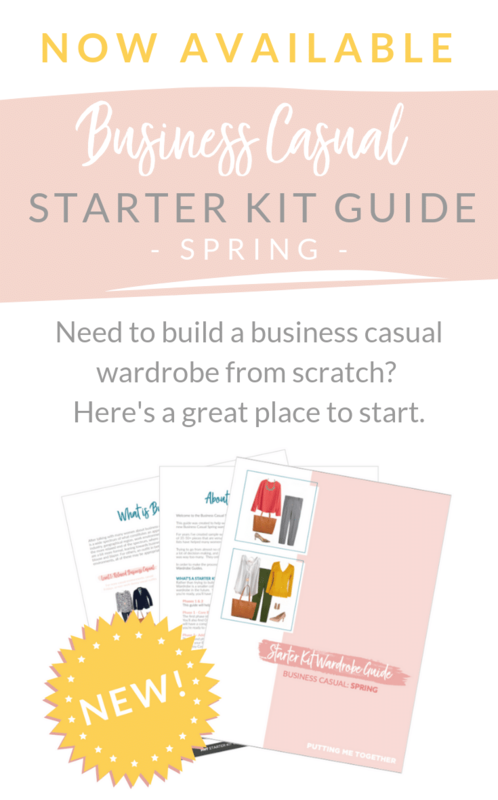 If you haven’t heard of Lily Jade before, they craft gorgeous high-quality leather bags that have amazing organization and functionality. 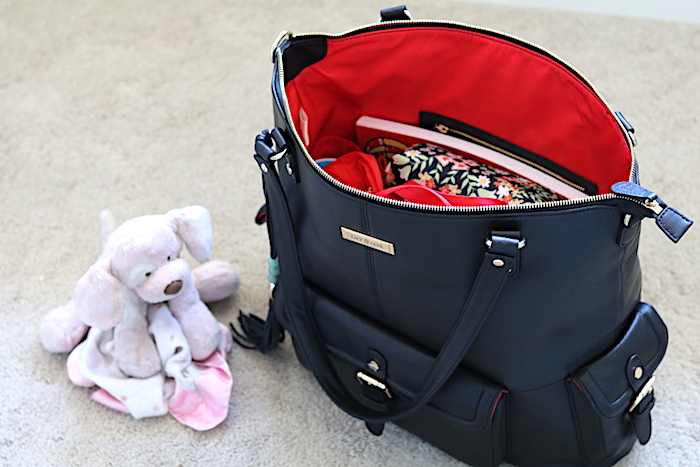 Oh, and did you know they’re actually designed to be diaper bags? The insides are made of a wipeable lining that makes them easy to clean spills and messes. Plus, the lining is sooo pretty in either red or a gorgeous Tiffany blue! 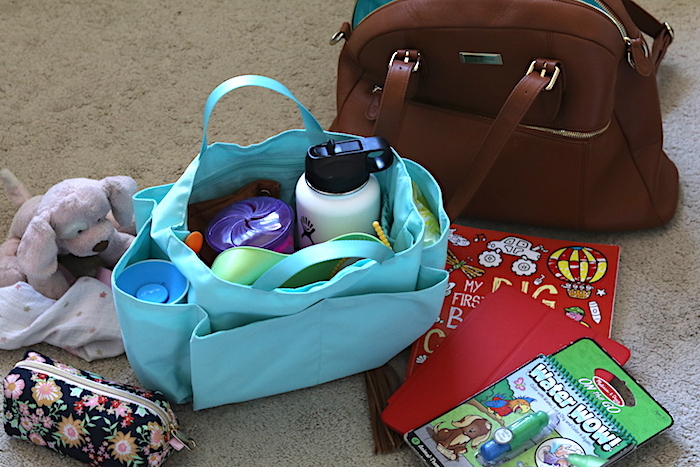 Each bag also comes with a compact machine-washable diaper mat and a removable machine-washable bag organizer for the millions of things you have to tote around with young ones. Lastly, every single bag can be worn with shoulder straps, as a crossbody messenger, or as a backpack for hands-free movement. One of my favorite features of these bags! And yes, the bags are expensive, but they are high quality with leather that ages well over time, and the designs are timeless. These bags will last a lifetime! 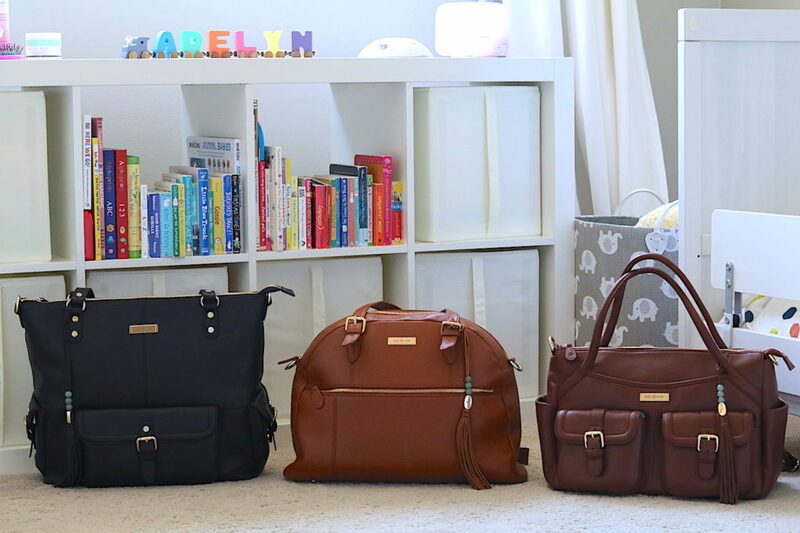 If you love how these look but are in absolutely no need of a diaper bag, don’t let that deter you. Like I was saying, these are just beautiful leather bags! 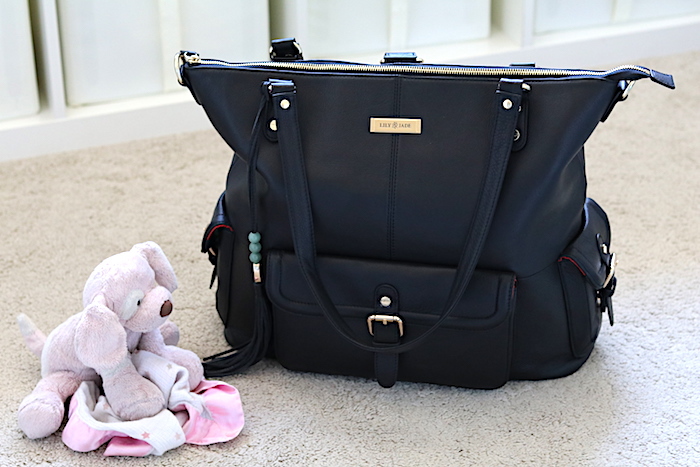 I have gotten compliments on my Lily Jade bags from many people, including young college-age and young adults who had no idea these were diaper bags. They wanted a sophisticated looking leather backpack that could fit their notebooks and laptops, and these Lily Jade bags fit the bill. Lily Jade has 5 styles that are different sizes and shapes, come in canvas or leather, and come in an array of colors. I’m reviewing 3 of them today: The Rosie, Elizabeth, and Meggan. I’ve owned the Rosie in Camel for about a year and have owned the Madeline in Brandy in the past. Benson, being a minimalist, convinced me that I only needed to own one bag, so I sadly said bye to the Madeline. Lily Jade lent me the Elizabeth in Brandy and Meggan in Black to review alongside the Rosie. Featured left to right: Meggan, Rosie, Elizabeth. As you can see, the Meggan is the tallest and the thinnest. From there, they get shorter, but longer and wider. Meggan: 14.5″(H) x 5″(W) x 16.5″ (L). Weight: 2.45 lbs. 3 exterior pockets. Rosie: 13″(H) x 4.5″(W) x 17″ (L). Weight: 2.05 lbs. 2 exterior pockets. Elizabeth: 11″(H) x 7″(W) x 17″ (L). Weight: 2.75 lbs. 6 exterior pockets. 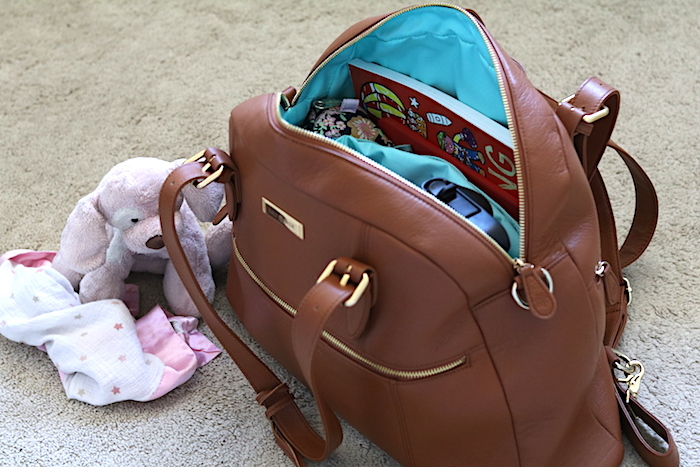 All bags also include 1 zippered interior pocket, 2 additional interior pockets, and the 12 pocket removable organizer. For this review, I’m going to go through each bag, showing it with an outfit so you can see its scale against a person. 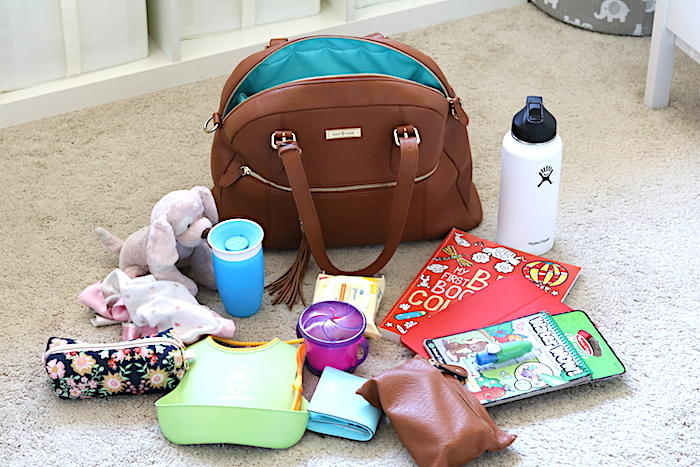 I’ll also show each bag packed with the same items and discuss how the bags compare. Then, at the very bottom I will compare the comfort of wear and my thoughts on each of the designs. 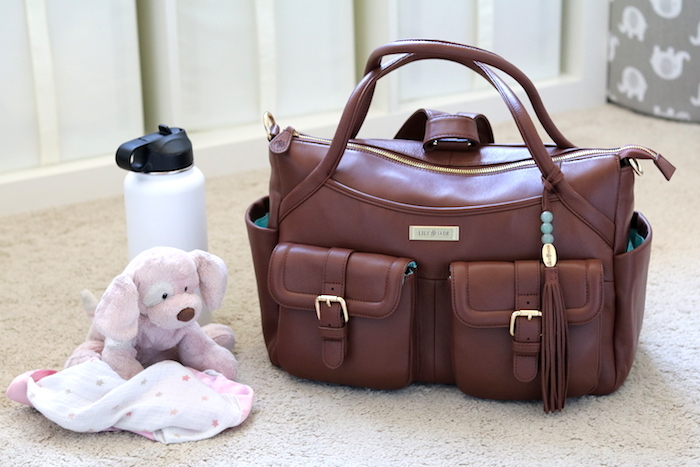 On each of Lily Jade’s product pages you can see how every bag looks packed with baby items like diapers, the Sophie giraffe, and a bottle. However, I have an almost-3-year-old and we are out of diapers, so I didn’t even have any on hand to use as a model. Instead, I packed what we’d typically bring which includes a few items for Addie as well as my stuff. My stuff: small wallet, little tan pouch with my odds and ends, my big 32oz water bottle. 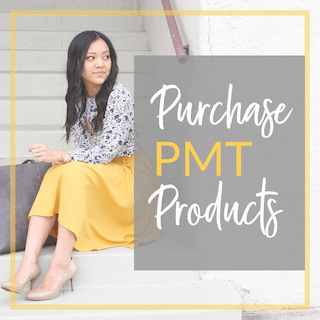 If you’re looking at this stuff thinking, “What I would carry is TOTALLY different,” don’t get too hung up on the actual items. Whether or not this collection resembles what you’d carry around doesn’t matter much. The more important thing is how this group of stuff compares from one bag to another to compare how much or little room there is between bags. 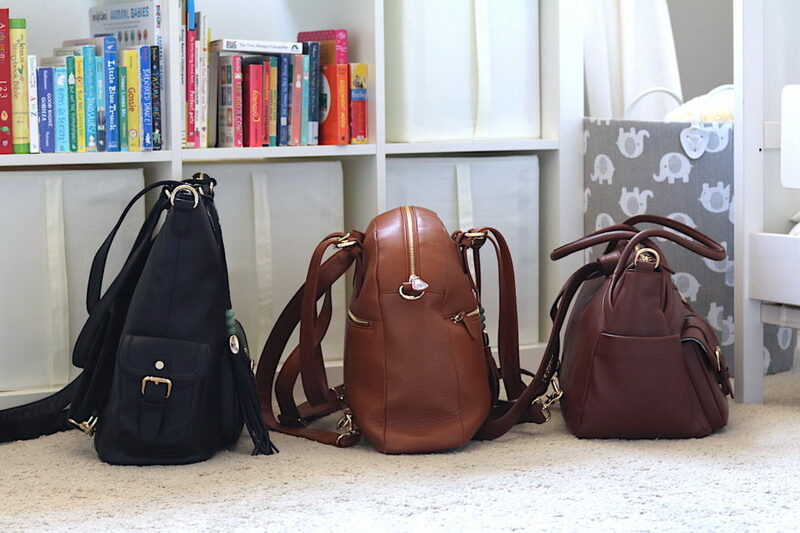 We’ll start with the Rosie because it’s the bag I own and am most comfortable with, but also because it’s right in between the other two bags, making it a good reference point. What I love about this bag is that it is the most lightweight out of the three, and it stays open on its own fairly well comparatively. It’s easier for me to find things when the opening is wider. I also like that it’s not too tall because I can easily see all the contents laid out width-wise, instead of stacked on top of each other and having to pull things out to dig out what’s on the bottom. WHAT I LOVE: Above you can see how it holds all of our stuff, including being long enough for the big activity book and tall enough for my water bottle. 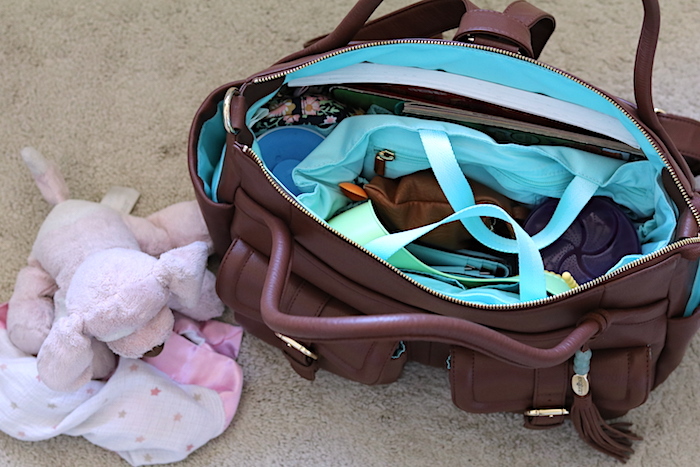 You can see in the second shot of the interior that there are several inches to spare–roughly 2.5 inches–which means I can fit Addie’s puppy in when she doesn’t want to hold it anymore, or I can easily fit a cardigan and/or change of clothes for her and still zip it all closed. Unfortunately, I cannot fit a cardigan for myself which is often necessary where I live. CONS: The exterior pockets are a little large and must be zipped closed or else the bag loses shape, AND your stuff can fall out. When I had the Madeline, I loved that I could slip my phone into one of the very deep exterior pockets and not have to zip or buckle anything open to access it. And the pockets were so deep that I never worried about my phone falling out. That is not the case with the Rosie. Also, I find this loses its shape the most of the three bags when worn as a backpack. It’s still the primary way I wear it, but the middle often pulls where the strap attaches and deforms the bag. See the Rosie’s specs HERE. This is the shortest but longest and widest of all three bags. It barely fits Addie’s activity book and sadly does not even fit my water bottle! Couldn’t squeeze it into the bag, nor could I zip it up because it was too tall for the bag. It’s a shame, because I think this bag is SO cute! 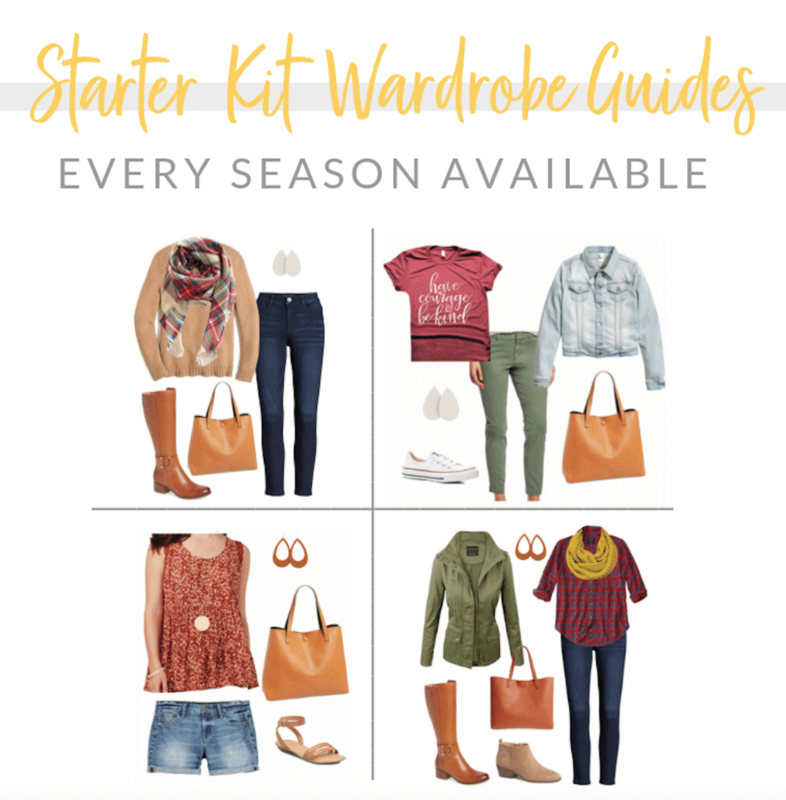 WHAT I LOVE: I absolutely love all the exterior pockets. If I carried smaller items that could be sorted into all the exterior pockets, this bag would be wonderful. Perhaps I could have taken the contents out of my small tan pouch and distributed them into the pockets to make room for my water bottle, but even then, the bag was too short. It’s quite comfortable to wear as a backpack and does not lose its shape. Something about how squat the bag is and that it’s wider on the bottom makes it nestle into the small of my back really nicely. Overall, I was surprised how small the Elizabeth is. 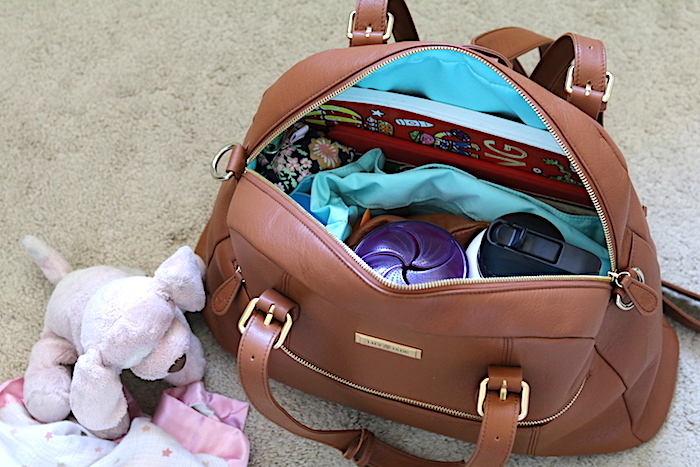 As a diaper bag it’s a little difficult, but that could work in its favor for post child-rearing use. 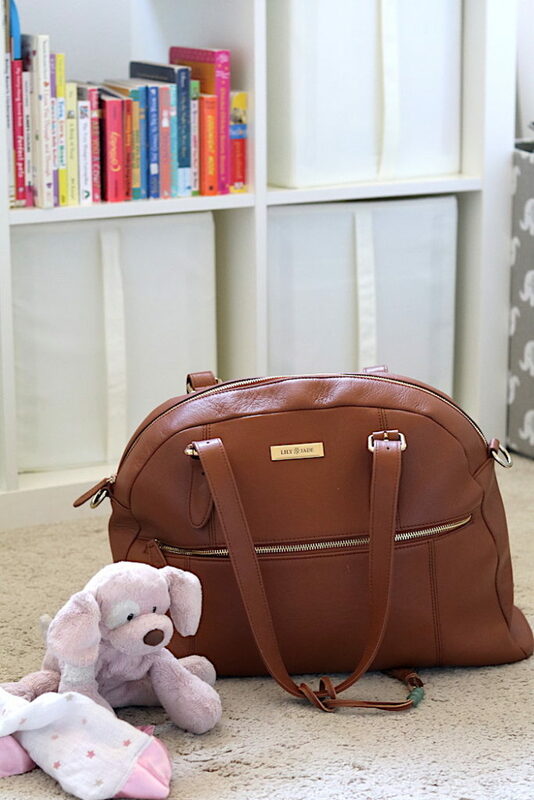 It reminds me of a cute satchel or book bag, and I think makes a smart-looking backpack or large carryall. CONS: It’s the heaviest of all the bags. And again, it doesn’t fit much. Also, I find the short shoulder straps difficult and uncomfortable to wear. The bag is so wide and the straps are so short that it’s hard for me to wrap my arm around this thing when it’s around my shoulder. See the Elizabeth’s specs HERE. This bag is enormous, yet it’s lighter weight than the Elizabeth. It doesn’t feel as huge as it is, probably because the weight distribution is good. Everything EASILY fit into this bag. I could almost have doubled the amount of what I had in there. It’s so tall that the activity book could fit upright rather than on its side like I had to do in the other bags. However, I put it on its side for comparison’s sake, and there was a whopping 5.5″ of extra vertical space. I could have added Addie’s puppy, a cardigan for her, AND a cardigan for me and still zipped this thing. Also, the exterior pockets are wonderful!!! This also holds it shape well whereas some of the other bags collapse when empty (like my old Madeline did, if I’m remembering correctly). I thought it’d be uncomfortable as a backpack since it’s so large, but I was wrong and it proved to be surprisingly comfortable–more comfortable than the Rosie as a backpack. 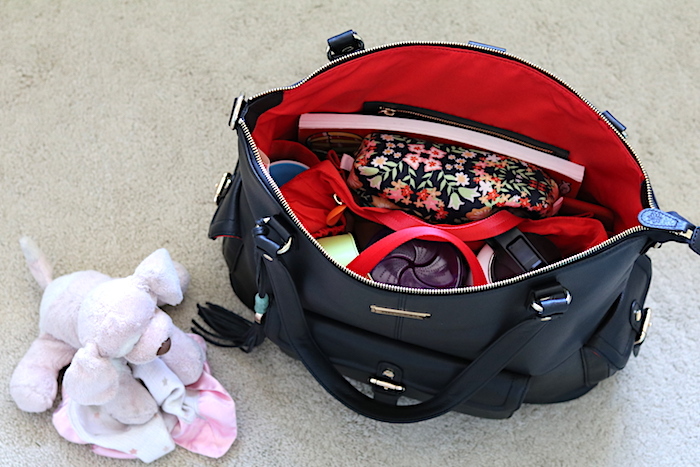 CONS: If you don’t want to dig deep for items, a shallower bag like the Rosie might be better for you. Also, I don’t love carrying this as a shoulder bag because of what I mentioned earlier about the tapering width. However, it’s actually stays really nicely if you carry shoulder bags on your shoulder and pushed more to your back versus laying directly on your side, if that makes sense. Carried that way, this bag is great on the shoulders. See the Meggan’s specs HERE. Most comfortable as a backpack – There’s not a HUGE difference to me, but the Elizabeth and Meggan were more comfortable than the Rosie. Barely. They held shape better as backpacks too. 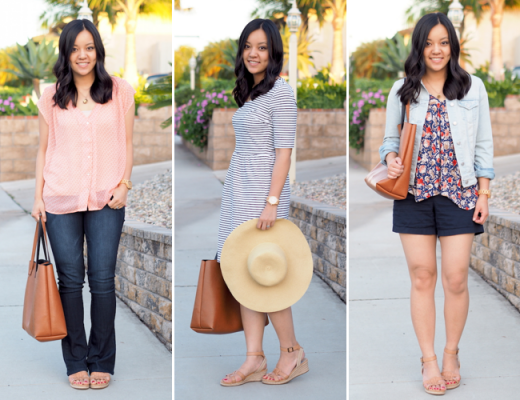 Most comfortable with shoulder straps – Rosie, if the bag lays on your side versus around your back. The width is uniform and lays streamline against you whereas the tapered widths of the other two make it awkward to hold. 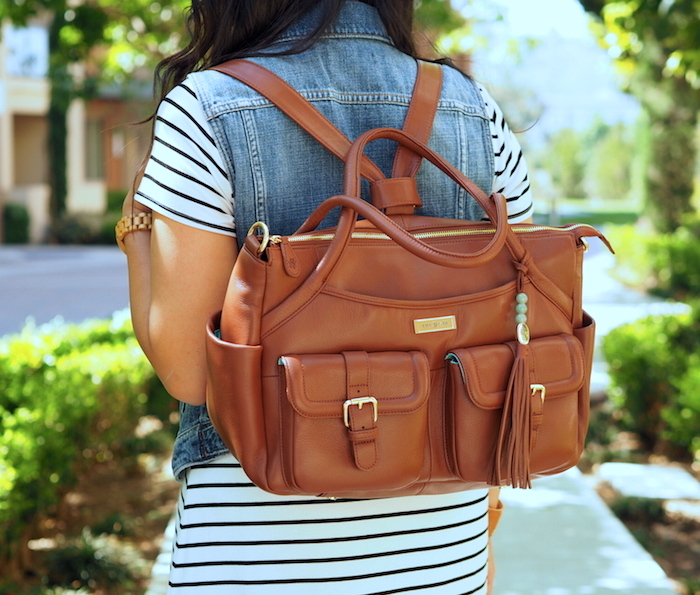 The Meggan is fine with shoulder straps if you push it around to your back. 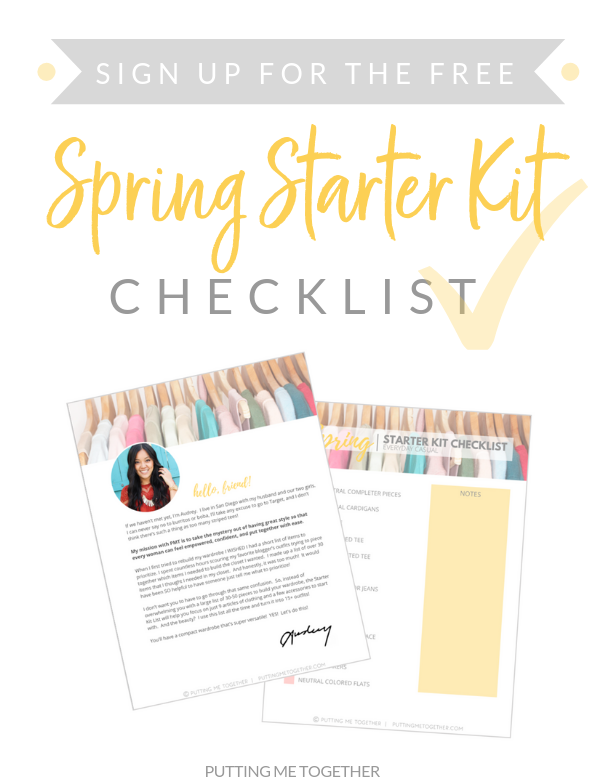 Aesthetics and use beyond diaper/kid days – Honestly I think all the bags will be great and not look like diaper bags post child-rearing. 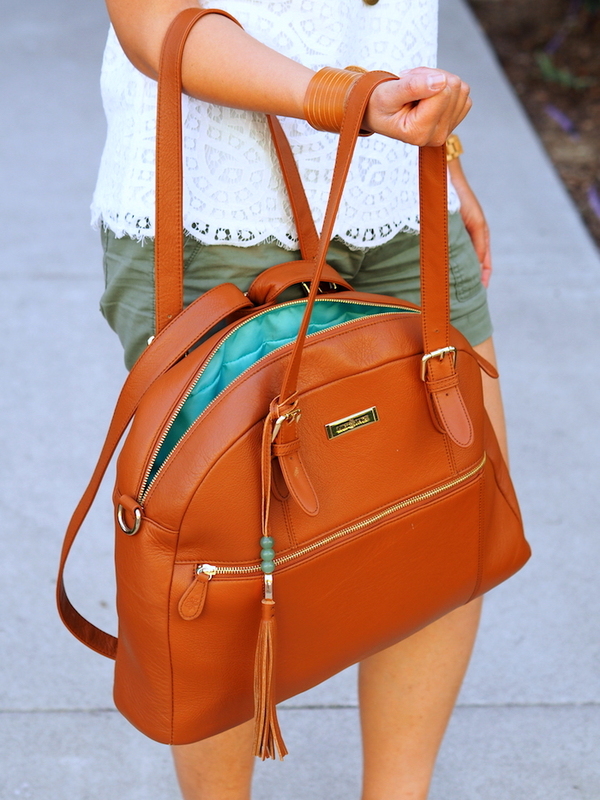 The Elizabeth looks like a large carryall or satchel. 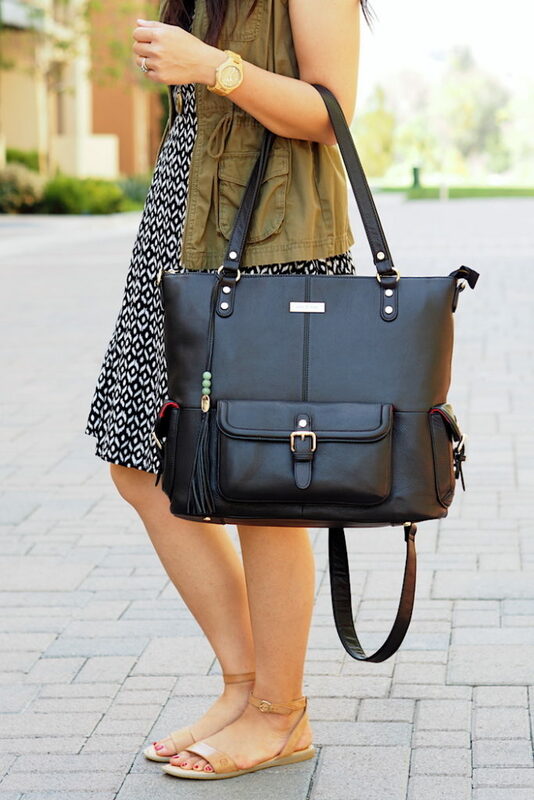 The Meggan looks like a very large carryall tote, and even though I styled it casually above with a summer dress, I could see it being carried even into business settings and having a portfolio pulled out of it. It would also be a great travel tote because of how big it is. The Rosie…I don’t think it looks like a diaper bag at all, but I can’t think of another type of everyday bag that it does look like, to be honest. It’s just looks like a really nice bag, haha. And FWIW, the Madeline and Shaylee (neither of which were reviewed in this post) feel like fantastic quality casual messenger bags to me. 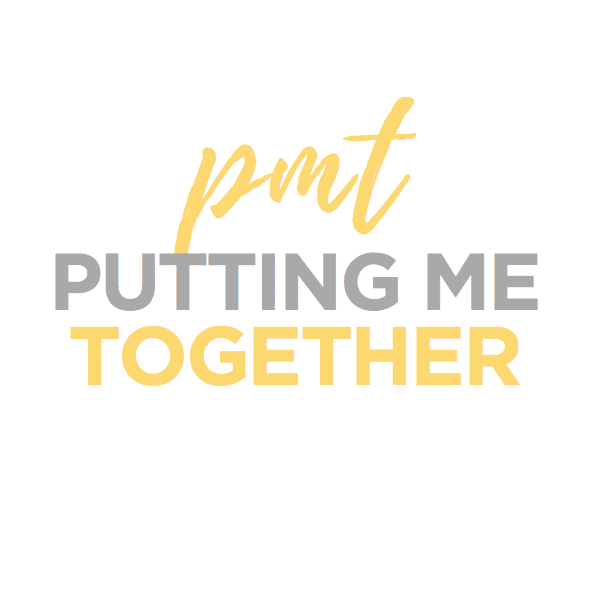 Putting Me Together + Lily Jade Giveaway! 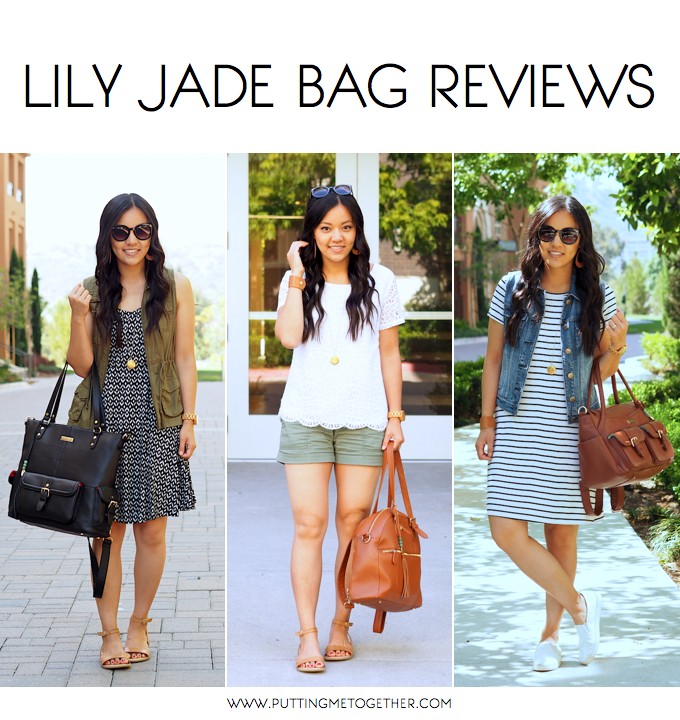 Huge thanks to Lily Jade for sponsoring this post! BFF Dress + Found a Suuuuper Similar One!